It began with a single plane. Lloyd Nolen and a small group of ex-service pilots from the Rio Grande Valley in Texas pooled their money to purchase a P-51 Mustang in 1957. They formed a loosely defined organization to share the pleasure and expense of maintaining the Mustang. A short while later, the group added a pair of F8F Bearcats to the P-51 Mustang. At this point, the mission of the CAF became clear: save an example of every aircraft that flew during World War II ~ a mission no one else was undertaking. What started as a hobby became an urgent mission to preserve history. By 1960, the group began to search seriously for other World War II aircraft but it quickly became apparent that few remained in flying condition. By the end of the war, America had produced nearly 300,000 aircraft. Just 15 years later, almost all the warbirds were gone. Decommissioned and stripped of armament and instruments, most of these proud warriors were scrapped or abandoned. No one, not even the Air Force or Navy, was attempting to preserve the historic aircraft that changed the world forever. On September 6, 1961, the CAF was chartered as a nonprofit Texas corporation in order to restore and preserve World War II-era combat aircraft. By the end of the year, there were nine aircraft in the CAF fleet. In 1965, the first museum building consisting of 26,000 square feet was completed at old Rebel Field, Mercedes, Texas. The CAF created a new Rebel Field at Harlingen, Texas, when they moved there in 1968, occupying three large buildings. The CAF fleet continued to grow and included medium and heavy bombers such as the B-29, B-25, B-17 and B-24. The organization was originally known as the Confederate Air Force. 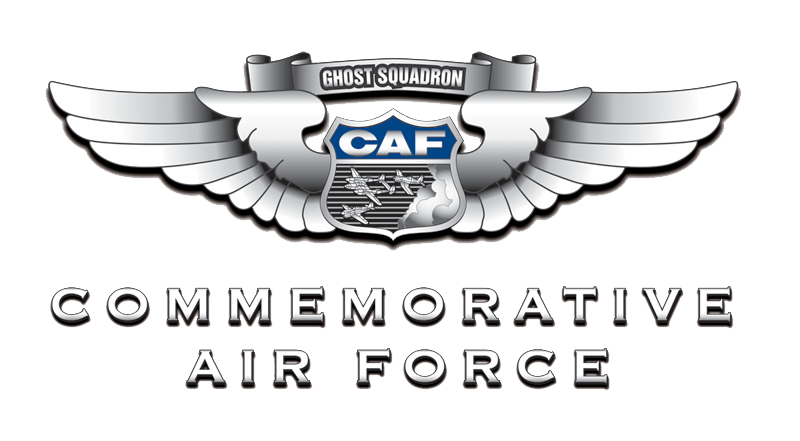 Following a membership vote in 2001 and made effective on January 1, 2002, the organization is now called the Commemorative Air Force. Collecting aircraft for nearly a half a century, the CAF now ranks as one of the largest air forces in the world. Today the CAF has approximately 13,000 members and a fleet of more than 165 aircraft representing more than 60 different types—including planes from several foreign countries and other military conflicts since World War II. The Headquarters of the CAF is located in Dallas. CAF members live in every state and 28 foreign countries. In 26 states and four foreign countries, our members have joined together and formed units to foster camaraderie and, in many cases, actively support one or more of the classic military aircraft operated by the CAF. The CAF was founded to acquire, restore and preserve in flying condition a complete collection of combat aircraft which were flown by all military services of the United States, and selected aircraft of other nations, for the education and enjoyment of present and future generations of Americans. 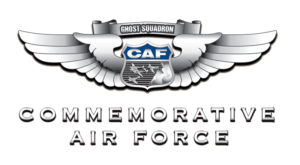 More than just a collection of airworthy warplanes from the past, the CAF’s fleet of historic aircraft, known as the CAF Ghost Squadron, recreate, remind and reinforce the lessons learned from the defining moments in American military aviation history. Want to be a part of this great mission? Click here to learn about membership and join this organization. 1. To acquire, restore and preserve in flying condition a complete collection of combat aircraft which were flown by all military services of the United States and selected aircraft of other nations for the education and enjoyment of present and future generations of Americans. 2. To provide museum buildings for the permanent protection and display of these aircraft as a tribute to the thousands of men and women who built, serviced and flew them. 3. To perpetuate in the memory and in the hearts of all Americans the spirit in which these great planes were flown in the defense of our nation. 4. To establish an organization having the dedication, enthusiasm and esprit de corps necessary to operate, maintain and preserve these aircraft as symbols of our American military aviation heritage.